and whipped cream! 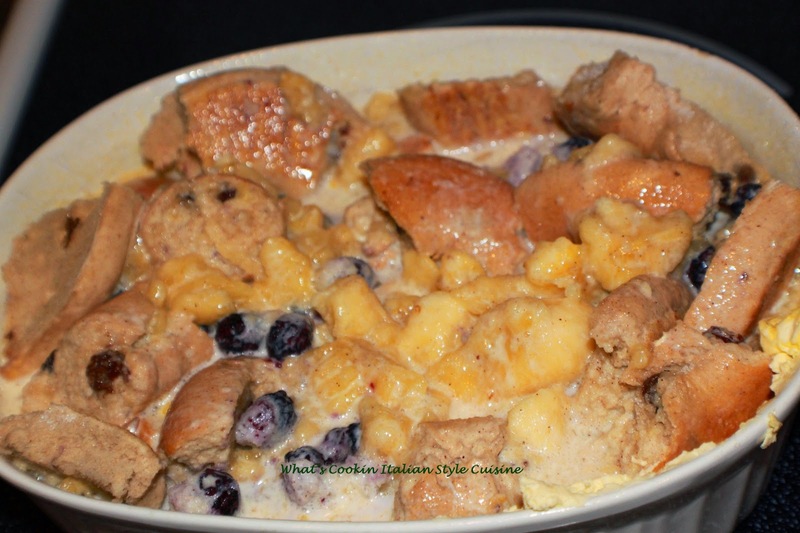 The best fruit bread pudding I ever had using these delicious bagels instead of bread. What an amazing dessert this turned out to be! A perfect dessert when you want comfort foods. 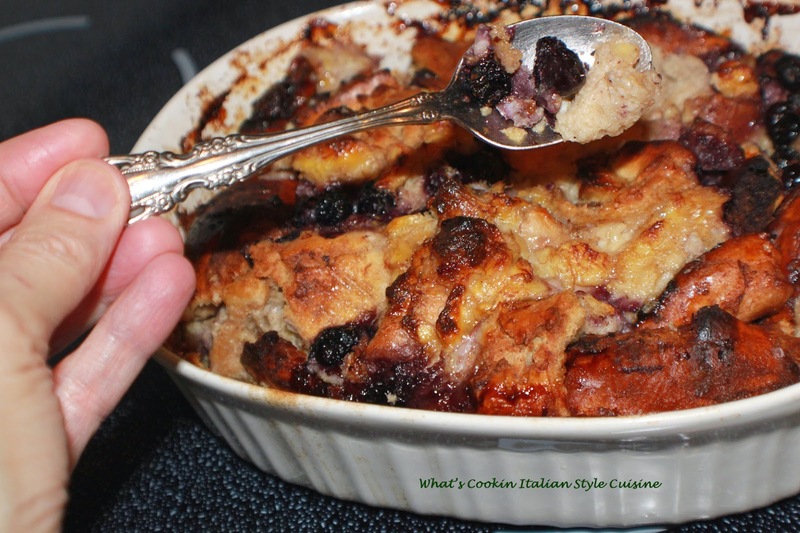 This baked bread pudding is a real treat anytime. In a large bowl beat the eggs with 2 cups half and half, add the sugar, cinnamon and vanilla until blended. Place the bagel cubes in a heavy butter greased baking dish around 3 quart size. Fold in the fruits to the liquid mixture just to stir. Pour over the bagels cubes and let sit for around 15 minutes. Preheat the oven to 400 degrees. Press down any cubes not soaked with mixture. Add more half in half if it's not covered. Bake on 400 degree hot oven until browned and bubbly. Around 40 minutes. 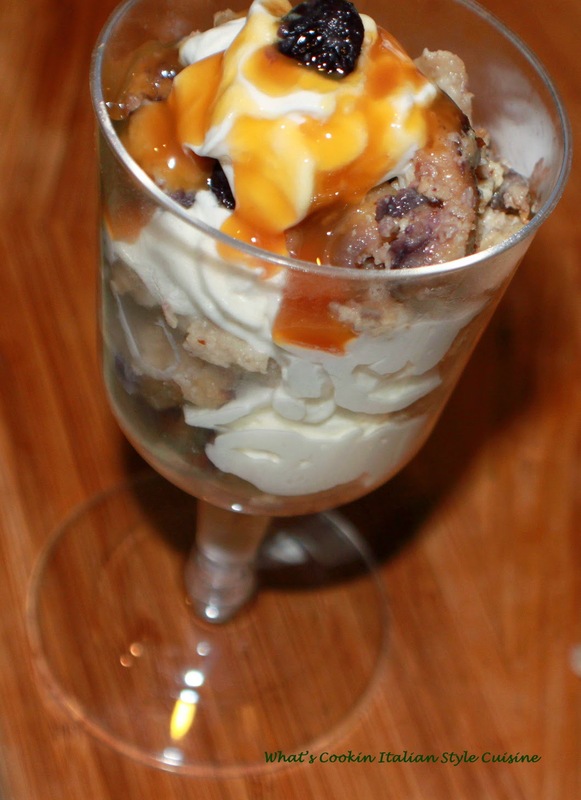 Serve with caramel ice cream topping and whipped cream.